From Bubenreuth to Buffalo! 1965 Klira Haiti DeLuxe 544 Guitar – Drowning in Guitars! In 2005 I visited an estate sale in upstate New York with a good friend. I was there mainly to help with heavy lifting, but I found this old guitar. It had been sitting in a closet for 40 years! When I got this oldie home, it took me a few months to figure out exactly what I had. Eventually, I stumbled on a little-known guitar maker with a brief history of American imports. Klira, a German company, had had been making musical instruments since the late 1800s. By the 1950s, the factory was located in the Bavarian town of Bubenreuth and was counted as part of a group of good German guitar makers such as Hofner and Framus. During the ’60s, some fine German guitars made their way to North American shores, but Klira guitars were scarce. This Klira dates from 1965 and was called the Haiti De Luxe model 544. There was also a similar, longer-scale model called the Bahama De Luxe. Many Klira electrics from this time have American-sounding model names such as Sioux, Ohio, and Nevada. Klira models came and went quickly during the mid ’60s, and this Haiti was only made for a year or two before disappearing from the catalog. 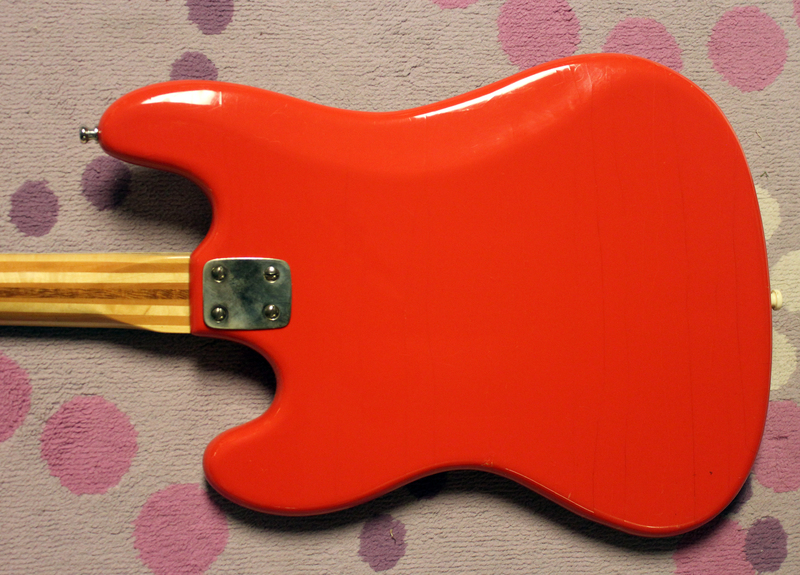 It features a high-gloss “signal red” finish, but the same model was available in a crinkled plastic coating. 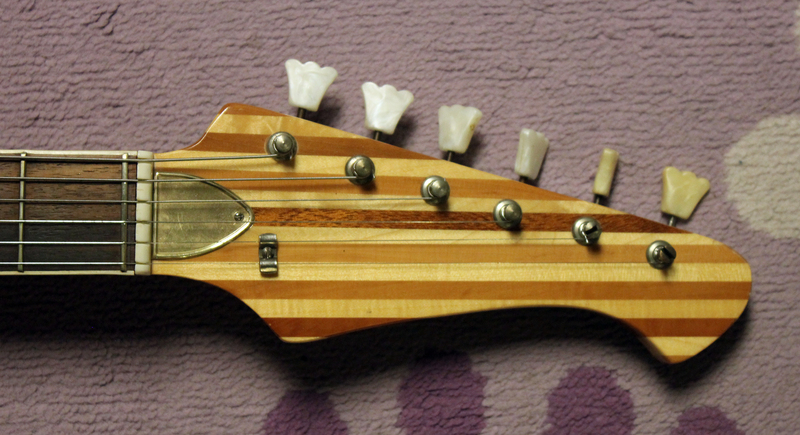 Many German guitar companies of the period used laminate necks, and the Haiti’s is a beautifully thick laminate with a flip-flop striped pattern. 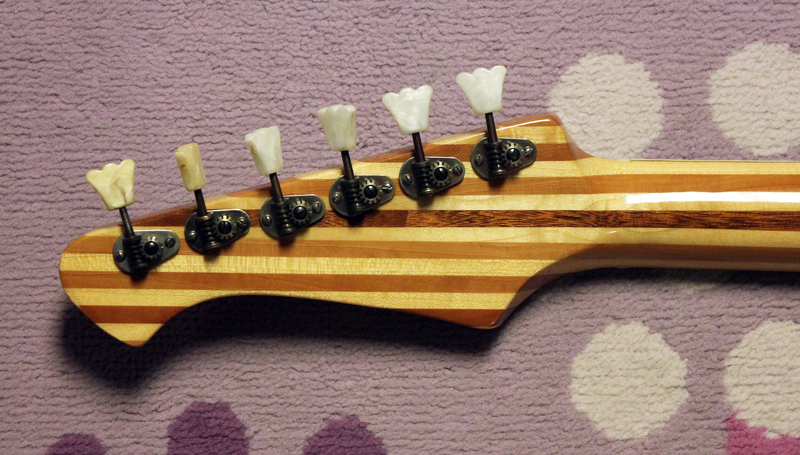 Klira promoted De Luxe models as professional guitars with exclusive features, such as bridge mutes, preset tone controls, and “gilted” (gold-covered) electronics. I’m a bit stumped by the latter claim, but it’s clear much thought went into the Haiti’s circuit. The pickups are the same Schallers found on many German electrics from the era, and they have a strong midrange presence in many settings. The array of switches and knobs could scare away timid players, but I look at it as hours of fun. There are on/off switches for each pickup, individual volume controls, and separate sliders for a treble circuit that sounds like a Fender Jaguar’s electronics on steroids. Hi. Is this thr klira that is currently offered in ebay? 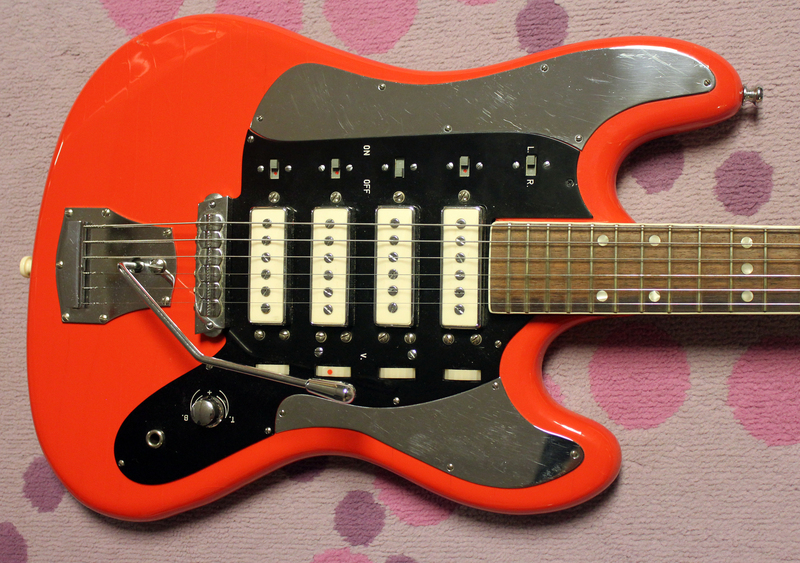 “Grab Hold and Tear Loose!” 1967 Domino Californian Rebel Guitar! !